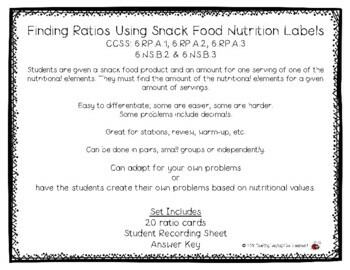 Students are given a snack food product and an amount for one serving of one of the nutritional elements. 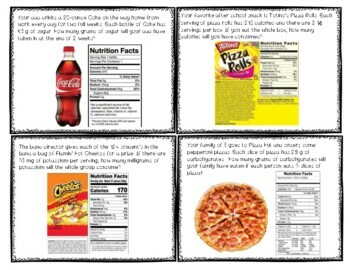 They must find the amount of the nutritional elements for a given amount of servings. Easy to differentiate; some are easier, some are harder. 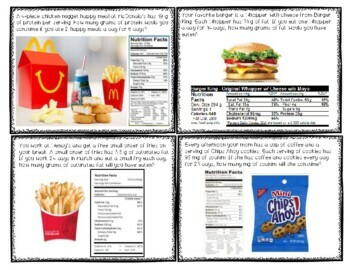 Great for stations, review, warm-up, etc. Can be done in pairs, small groups or independently. 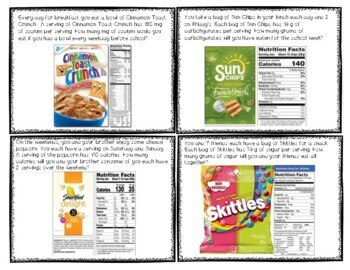 have the students create their own problems based on nutritional values.